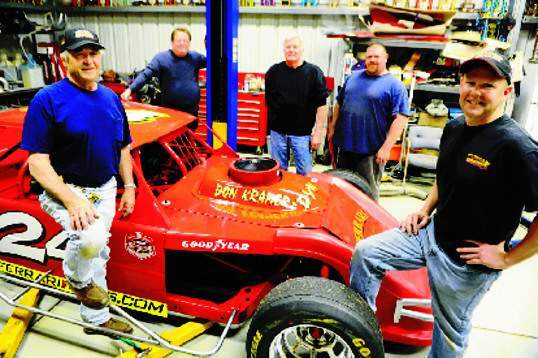 April 28, 2012 12:00 AMTRACY - Scott Winters began racing go-karts when he was 8 years old, and being a good driver was never enough for the youngster. He also wanted to know why he went fast. His fascination with the technical aspect of auto racing made him a better competitor and led to a distinguished career. The Tracy resident is a mechanical engineer at Lawrence Livermore National Laboratory during the week, and on weekends, he's one of the top Grand American Modified drivers in the West. 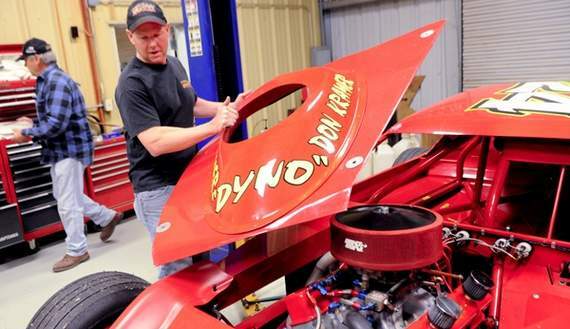 Winters, 44, will be combining his skills this season as he chases the NASCAR Whelen All-American Series state and national titles. He will compete twice today at Stockton 99 Speedway, with racing scheduled to begin at 6 p.m. He intends to run the full season at Stockton 99 and All-American Speedway in Roseville to pursue his goals, and admits he may look at the sport a little differently than other drivers. Winters earned a Ph.D. in mechanical engineering from the University of California, Davis, and has worked at Lawrence Livermore Laboratory for 18 years. He primarily designs electromechanical optical systems. "I'm probably more analytical than most drivers," Winters said. "I think about technical ways to race, and try to turn situations into our advantage." The approach has worked for him. He has won six titles at various tracks, the 2002 Sunbelt Regional crown and other honors. His car owner, Wayne Ferrari of Ferrari-Kramer Racing, said Winters' background and attitude are great assets to the team. "The neat thing about Scott is that he has no temper," Ferrari said. "When he gets bumped, he doesn't go into payback mode. He thinks, 'How can I get back around this guy?' And from lap one he's thinking about tire management. He's always thinking." Winters grew up in Redding and fell in love with racing when his parents introduced him to go-karts. He soon found himself spending as much time watching the mechanics as driving. "Since I was 8, I was fascinated by engines," Winters said. "I began to want to know everything about them, then I wanted to work on them. So racing really did lead me on a path to my career." Unlike some drivers, Winters gets involved on setting up the car with Ferrari and his crew at the team's garage in Linden. "He doesn't just show up and drive. He has a great feel for a car, and he can take it around a few times and give a lot of good suggestions," Ferrari said. Winters has put together a plan to chase the state and national titles. The first thing he needed to do was commit to plenty of races, which is why he is running both the Roseville and Stockton tracks. In the All-American Series, competitors count their best 16 finishes of the season. Winters and Ferrari believe they can get 35 starts out of the two tracks. "The problem for drivers out here has always been that the guys back East had so many places to run, and could get 40 starts or more," Ferrari said. "With Stockton and Roseville running the division at different times most of the season, you can get enough starts to compete." Winters began his quest in Roseville last weekend, finishing third and fourth. "Those weren't bad finishes in Roseville, but not exactly what we were looking for," Winters said. "We tried some things, and will make some adjustments. We have a very experienced team. We'll figure it out." Contact reporter Scott Linesburgh at (209) 546-8281 or slinesburgh@recordnet.com. Visit his blog at recordnet.com/sportsblog. The New Stockton 99 Speedway is sponsored by Jackson Rancheria Casino & Hotel, Budweiser, Alamo Alarm and Stockton Hampton Inn and Suites and Lodi Holiday Express.